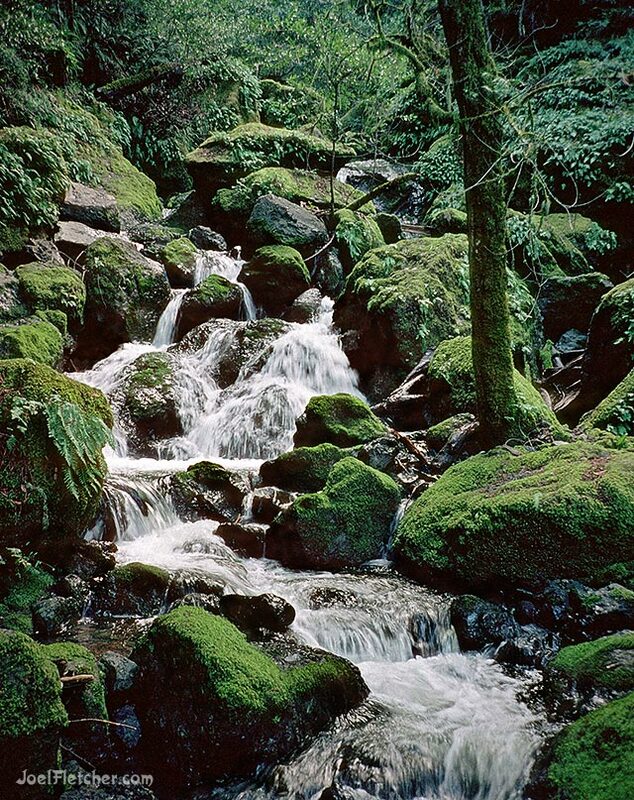 Once upon a time I hiked the enchanted Cataract Trail, located on Mount Tamalpais in Northern California. There I witnessed numerous waterfalls in the midst of a lush, intensely green rainforest. Photographed on Kodachrome film in 1993.